This article was researched and written by Alan Clayton of Argyll, Scotland. The best way of understanding history is to get inside the minds of the main players at any given time, and the best way of doing this is to look at some of the things they said and did particularly in unguarded moments. 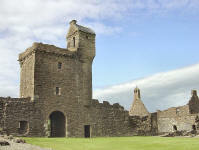 Scotland in the early years of the 1560’s was in considerable turmoil. In August of 1560 parliament in Edinburgh had passed an Act establishing a new protestant church and forbidding the saying of Mass anywhere in the country, but it quickly became apparent that this law, since it did not have the Royal Assent, was being widely ignored. The parochciners of Mayboill, Girvin, Kirkoswald and Dalry within the kirk wherefof the Messe is openly said and maitained. In due course action was taken and in the May 1561 the Abbeys at Failford, Paisley and Kilwinning were burned’ although not Crossraguel. However many of the reformers felt that burning churches was not the way to win hearts and minds and several of its leading personalities were asked to go to various parts of the country to preach. John Knox was allocated Carrick and Kyle and it was thus fact that brought the debate with the Abbot of Crossraguell, Quentin Kennedy. Kennedy had a formidable intellect. In 1558 he published a theological work called the ‘Compendius Tractive‘ which was felt by many to have the potential to stop the reformation in its tracks as had happened in other parts of Europe such as Poland. The Compendius Tractiv reiterated the historic Catholic position on the Eucharist reminding the readers that it had been the belief of Christians in Scotland and throughout Europe for centuries. In fact the nature of the bread and wine after the celebrant has ‘blest and broken ‘ it remains a huge area of theological difference between the Church of Scotland and the Roman Catholic Church to this day. 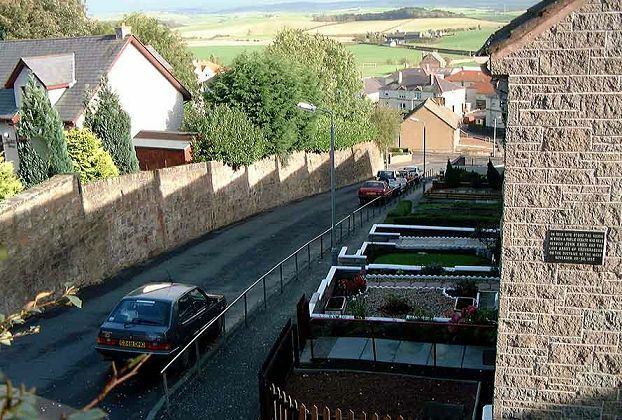 Maybole was chosen for the debate probably as a compromise, as many from both sides wanted it to take place in the much larger venue of St Michael’s Kirk in Ayr. However this did not happen, either because one or other party thought it would give his opponent a psychological advantage, or more likely because one or other party felt he might be in some danger in Ayr from organised opponents. In other words the main motivation was much more physical than spiritual! No punches were pulled on either side! The debate went on for three days and it has been suggested that Maybole became short of food supplies so it was likely that there were more people in the town than it could cope with. Certainly the Inns, hostelries and people providing what we would now call bed and breakfast were stretched to the limit. The path of the reformation took many turns over the following years. 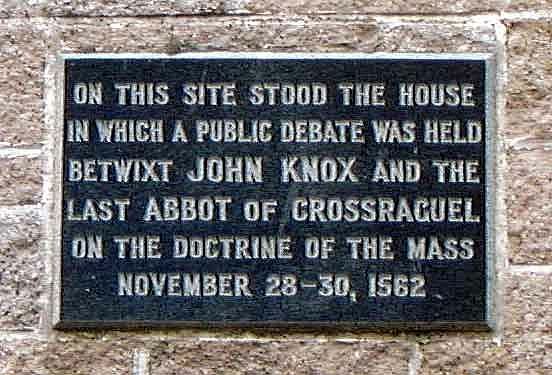 Quentin Kennedy died of a broken heart two years later, and John Knox lived for another ten, marrying a young girl of sixteen and having a family by her. 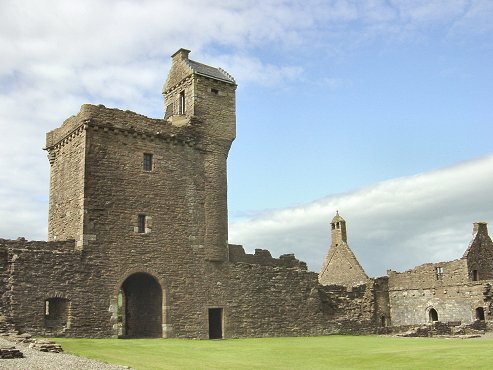 The Catholic Earls of Cassillus in Carrick and of Huntley in Aberdeenshire met secretly in Paisley shortly after the Great Debate in an attempt to organise simultaneous risings in the north and the south, however they were aware that this could plunge the country into civil war and render it liable to English invasion and occupation, and the proposed rising never went ahead. Mass continued to be said discreetly and often secretly throughout Scotland for as long as the old clergy lived., and the last recorded incident of it still being said was in Elgin Cathedral as late as 1595. The eight or nine monks of Crossraguel were allowed to live quietly and in peace. Whether they said Mass or not for themselves and a discreet few we will never know because if they did they risked the gallows. In the 21st century the churches try to understand each other rather than oppose each other and are well aware that the enemy is a Scotland secular in a way that it could never have been at the time of the Great Debate. However the Great debate is a precious part of our nation’s history and Maybole has a duty to keep its memory alive. Sources for this article and for further reading.